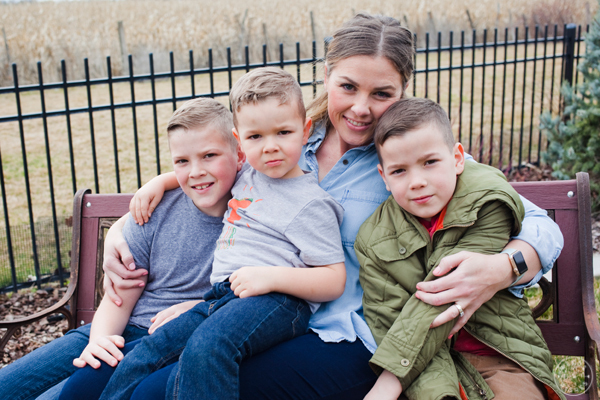 We are so excited to introduce Emily Fonnesbeck, a stay at home mom freelance writer. She graduated with a B.S. in Kinesiology but has to make herself exercise, just like most people. She loves reading, cooking, and playing outside with her boys. She’ll be sharing her insights with us monthly and we are excited to have her! If I could travel anywhere it would be: South Africa, my husband and I are planning a trip for next spring! My favorite food is: Just one? I can’t. I love bread, eggs, and cheese. You know that saying “Man cannot survive on bread alone”? I think I probably could, and couple that with eggs and cheese and I’m good forever. If I were an animal I’d be: A lion. I love to hang out with my family and friends, I’m super social and I love a group meal. Most people don’t know that: I have a business called Diamond Fit Gear and I make bikinis and competition suits for body builders. Yes, the teeny tiny ones covered in rhinestones. It’s pretty random and it doesn’t exactly come up in casual conversation, but there you go. When I was a child, I once: Won a rodeo princess competition. I was in the Days of 47 parade and I had a sash and a crown and big hair and the whole deal. I will always dance to: Hip hop- I love a really good beat, although I’m not a great dancer. I remember: Being a newlywed and thinking I knew what love was, wow I’ve learned a lot and I love my husband and kids like I never thought possible! Thanks, Emily! We can’t wait to read what you post!